Professor Tse has been providing consultancy service to a number of organizations, including Chinese Education Centre of the Netherlands Government, Ministry of Education, Singapore, Education Bureau of the Hong Kong Government and the Education and Youth Affairs Bureau of Macao Government. He has beenNational Research Coordinator of the Hong Kong element of Progress in International Reading Literacy Study(PIRLS) since 2000. 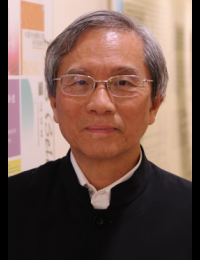 His research interests include the teaching and learning of reading and spoken literacy, the learning and teaching of Chinese as first and second language, early childhood Chinese language education, bi-lingual reading, computer assisted language learningand ways of assessing and monitoring language learning.He has published more than 30 books, 90 book chapters and 100 research articles. 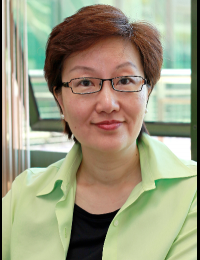 Dr. Doris Cheng is the Associate Professor and the Director of the Centre for Childhood Research and Innovation in the Hong Kong Institute of Education. She has been serving early childhood teacher education for more than twenty years which has given her extensive knowledge in the field. She was awarded a merit of the Distinguished Teacher Award in 1998 from her Institute. Doris's research interest is on the learning and teaching of young children, especially on the enactment of 'learning through play' . She has published extensive in international referee journals and book chapters in the area of play and learning. Doris was awarded a Public Policy Research funding (008-2010) by the Hong Kong Government Central Policy Unit to work on the quality of implementing "play" in the Hong Kong Early Childhood Education context. She commits herself to international discourse on enhancing the quality of "play-based pedagogy" and has recently been invited by LEGO Foundation to be the core team member in the Global Research & Innovation Network in 2015. Doris is active in dialoguing with international scholars to promote quality learning environment for children. She has been working with the University of Cambridge and acts as the consultant of a Play, Learning and Narrative Writing project in the University since 2013. At present, she is preparing and co-organizing an international conference on quality childhood education with the University of Cambridge, U.K..